I've been working like a maniac to get my current work-in-progress out the door, so no original Friday Funnies this week. 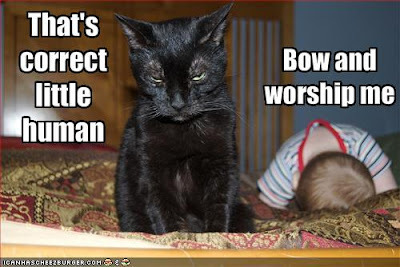 But thank goodness for lolcats. 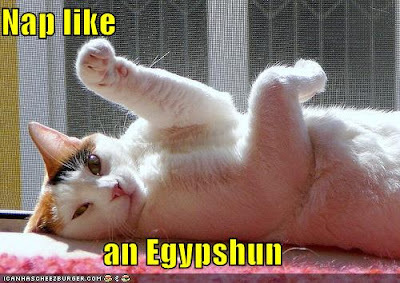 Enjoy these combinations of two of my favorite subjects: cats and the ancient world. 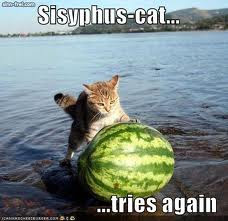 You know I HAVE to have the Friday Funnies...Sisyphus Cat! HAHAHHA! @Cathy--I loved Sisyphus cat! the only problem is that every time it rolled back down, the kitty napped. Thanks Hasan. Sisy-puss is my favorite too!